I edited as well. I picked two of my favorite images from this shoot. 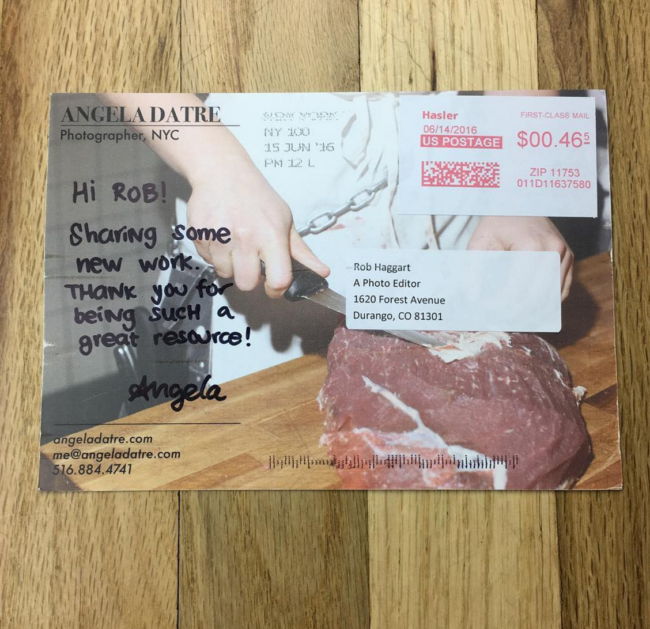 I printed 50 and targeted publications that feature cooking, food culture and/or portraits. I’ve been shooting more food-related work this past year so I wanted to send out a promo that would highlight that. I usually will create a promo when I have new work that I want to share. Ideally I would like to do one booklet per year with postcards here and there as well. What project did theses image come from? 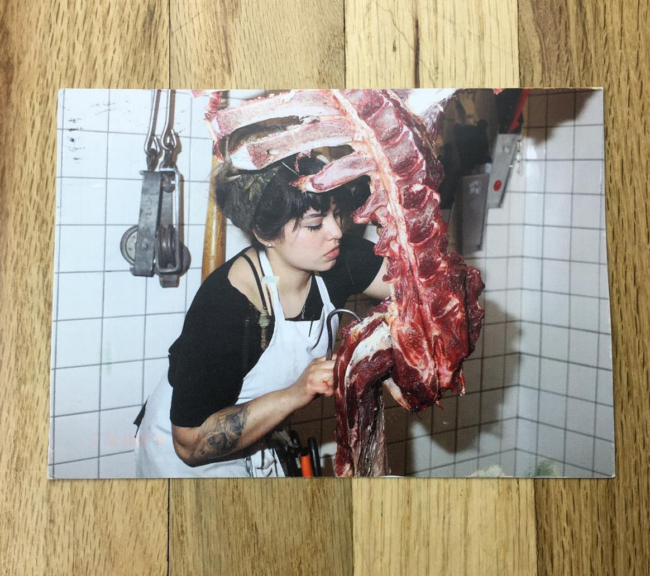 These images were from a story I shot on two women butchers at The Meat Hook in Brooklyn for the Village Voice. I always enjoy photographing people in their studios or work spaces so this shoot was a lot of fun. I’m happy when photography assignments bring me somewhere I normally wouldn’t be (like in the freezer at a butcher shop).